SALT LAKE CITY, UTAH – June 12, 2015 – Monnit Corporation was presented with the 2015 Best of Sensors Expo Innovation Award honorable mention for their Tarts open wireless sensor platform by Sensors Magazine. Mat Dirjish, Executive Editor of the magazine presented the awards at Sensors Expo & Conference this week at the Long Beach Convention Center in Long Beach, California. “The caliber and magnitude of the nominations received directly reflects the increased momentum and innovative spirit of the sensors industry,” said Dirjish. “We are pleased to shine a spotlight on the trail blazers of this industry, evangelizing the power of sensors to make a significant impact on our world. We extend our congratulations to all the winners and look forward to their continued contributions to this industry. A total of sixteen awards were presented in four categories including Engineering Team of the Year, Rising Star Award, Application Award and Innovation Award. The award winners will be featured on the Sensors Expo and Sensors Magazine websites sensorsexpo.com and sensorsmag.com. Sponsors of the 2015 Best of Sensors Expo Awards include Freescale, GetWireless, and Rogue Valley Microdevices. Sponsors of the 2015 Engineering Excellence Awards include B-Scada and ROHM. View the full list of winners at http://www.sensorsmag.com/best-sensors-expo-award-program-overview. Sensors is the authority for smart design, applications and networks, providing focused news in the markets where sensors and sensing technologies are applied as part of a company or organization’s business and competitive strategy including Electronics & Computers, Machine Manufacturing, Process Industries, Automotive, Aerospace/Military/ Security, Specialty Markets: Medical Devices, Engineering/Architectural, R+D, Wireless Networking & M2M and more. For more information, visit sensorsmag.com. For 30 years, Sensors Expo & Conference has been the leading industry event in North America exclusively focused on sensors and has emerged as one of the largest and most important gatherings of engineers and scientists involved in the development and deployment of sensor systems. The 2016 event will be held June 21-23 at the McEnery Convention Center in San Jose, California. For more information, visit sensorsexpo.com. Tarts Sensors is a division of Monnit Corporation. Leveraging the development work by Monnit, Tarts Sensors brings a fully tested, FCC, IC and CE compliant wireless sensors platform to those wishing to develop their own solutions using open platforms such as Arduino, Raspberry Pi and BeagleBone Black. 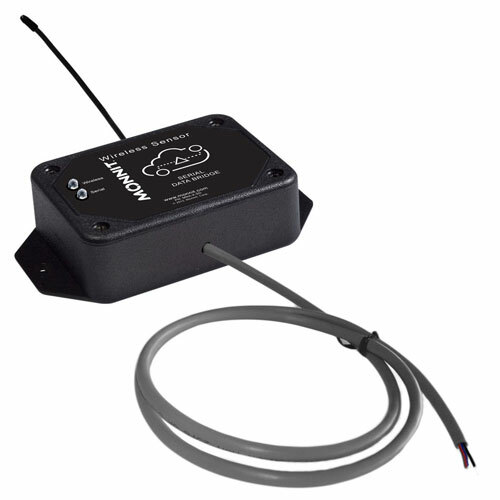 With over 20 unique sensor types, and the ability to be used with several different development platforms, Tarts wireless sensors allow for endless sensing, monitoring and control possibilities. For more information on Tarts Sensors visit the Website at http://www.tartssensors.com. Monnit is a leader in the design and manufacturing of turnkey, self-installing, low cost wireless sensor solutions targeted at the commercial and industrial markets. Monnit’s sensing solutions are easily installed and used by anyone wanting to remotely monitor information and activities around a variety of variables (i.e. temperature, motion, humidity, vibration, etc.) and receive alerts based on user defined conditions. Monnit products are fully tested, FCC, CE and IC compliant for use anywhere in the world. For more information, visit www.monnit.com. Check out a great article on how the Internet of Things is helping with Food Safety! You will also notice some great insight throughout the article from our very own “Internet of Things Guru” Brad Walters. Salt Lake City, UT – June 04, 2015 – Monnit Corporation (www.monnit.com) announced today the release of a new product for wirelessly interfacing with serial devices. Monnit’s new Wireless Serial Data Bridge is a bidirectional serial to radio device capable of transmitting serial data over its wireless communication link and delivering wireless data, received in the radio, out of its serial port. The Monnit wireless serial data bridge can be connected to any device equipped with a serial data port, to capture the data and transmit it to the iMonnit online sensor monitoring and Notification System. The data is stored in the online system and can be reviewed and exported as a data sheet or graph. User customization allows you to set notifications and alerts from the system based on data received from the device. The serial data bridge is also fully configurable via the iMonnit online software. Bidirectional serial to radio communication. Interfaces with RS232 or RS485. Free iMonnit basic online wireless sensor monitoring and notification system to configure sensors, view data and set alerts via SMS text and email. Focused on simplicity, Monnit Wireless Sensors can be setup, gathering data and notifying users of concerns in just a few short minutes. Monnit currently provides over 40 unique wireless sensor types for measuring temperature, humidity, door and window (open/close), motion, water, activity, dry contact and a variety of other conditions that are critical to businesses. All Monnit wireless sensors include free basic iMonnit online sensor monitoring which aggregates sensor information and sends notifications via text or email if user defined conditions are met or exceeded. The new cellular gateway as well as wireless sensors and monitoring software are available to OEM’s and Reseller’s as a private label offering. Details can be found at www.oemsensors.com. Monnit wireless products are FCC, IC and CE/ETSI certified, and have been proven to comply with the essential performance, safety, and environmental requirements set by law around the world. For more information on Monnit’s low cost monitoring solution, call (801) 561-5555 or visit www.monnit.com. 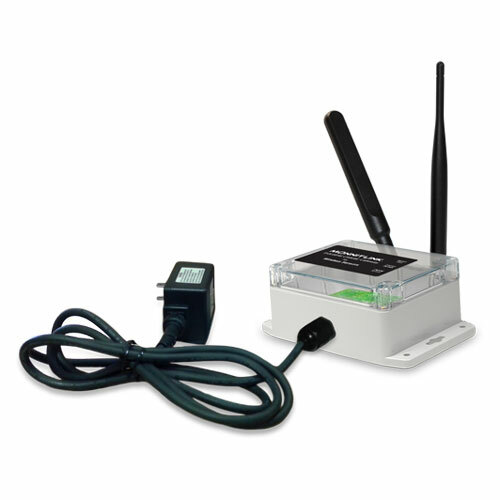 Salt Lake City, UT – June 02, 2015 – Monnit Corporation (www.monnit.com) announced today the release of new Industrial M2M cellular gateways for wireless sensors. The gateways are available in CDMA, 3G (GSM/UMTS) or 2G (GSM/GPRS) cellular technologies allowing for operation on a majority of the world’s leading cellular networks. Monnit cellular gateways are designed to communicate with the iMonnit™ Online Monitoring and Notification System via cellular transmission, making them the perfect solution for remote locations or where existing internet connections are not available. They are also available with battery backup, allowing for up to 24 hours of continuous operation in the event of a power outage. Monnit Industrial Cellular Gateways are designed to support up to 100 Monnit Wireless Sensors, which are capable of detecting and monitoring functions that are critical to business operations, including; temperature, humidity, water, light, access, movement and much more. Monnit’s wireless gateways transmit data between local sensor networks and iMonnit, the online data monitoring system, which aggregates sensor information and sends notifications via text or email if user defined conditions are met or exceeded. All Monnit wireless sensors include free basic iMonnit online sensor monitoring with SMS text and email alerting.